Hook, Line and Sinker! Fishing season is open! 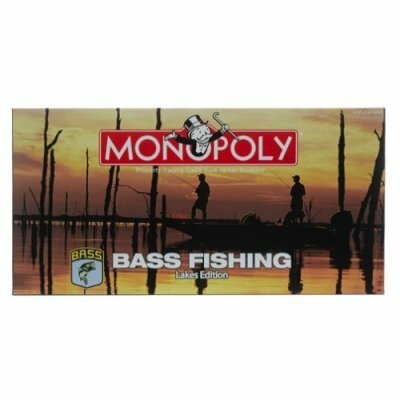 Reel in bass fishing prize catches as you play this lakes edition of the world's most famous board game. The BASS Fishing Lakes edition of the MONOPOLY game is fully stocked and it's every angler for him or herself. On the hook are some of the country's most popular fishing lakes including Lake Champlain and Lake Winnipesaukee. Also included are 6 collectible pewter tokens including a Largemouth Bass, Bass Fishing Boat and Bass Fishing Reel. 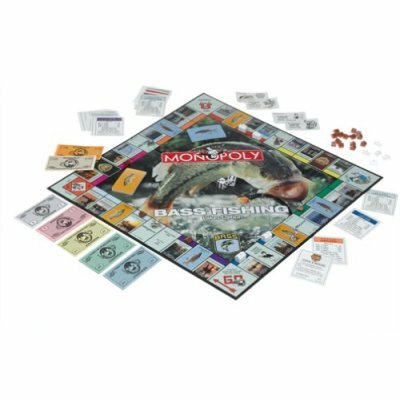 If you are one of the 20 million bass anglers pursuing the ultimate catch, this special edition of America's classic board game is one catch you won't want to release. Cast out and compete to reel in all the prized lakes. 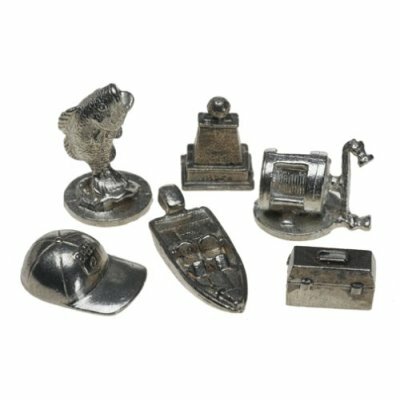 Collectible pewter tokens include bass fishing boat, bass fish, trophy, reel, trolling motor and tackle box.